After ordering a couple of YeeLights I came across these ElectriQ ones so I ordered these as well. UK supplier and bayonet type so no adapter needed. They also have screw ones at the same price if preferred. Not many reviews unfortunately but the ones that were there seemed good. If you want more than one you save a little by buying in 3 or 5. Probably worth it as you have to pay £2.94 postage. How does these work? 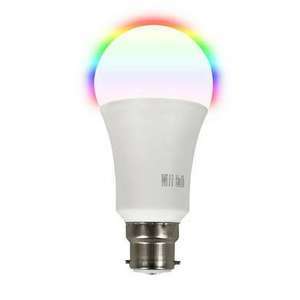 does it just replace the original bulb then fire up the app to change colours? or does it need something else for it to work? There's no hub needed, just connects via WiFi. I'm planning on using them with Google home but you can control them via the app as well.